Welcome to my first blog post for The Electric Fiber! This is an exciting opportunity to share what's going on in the fiber community and inspire those who share in this wonderful craft! 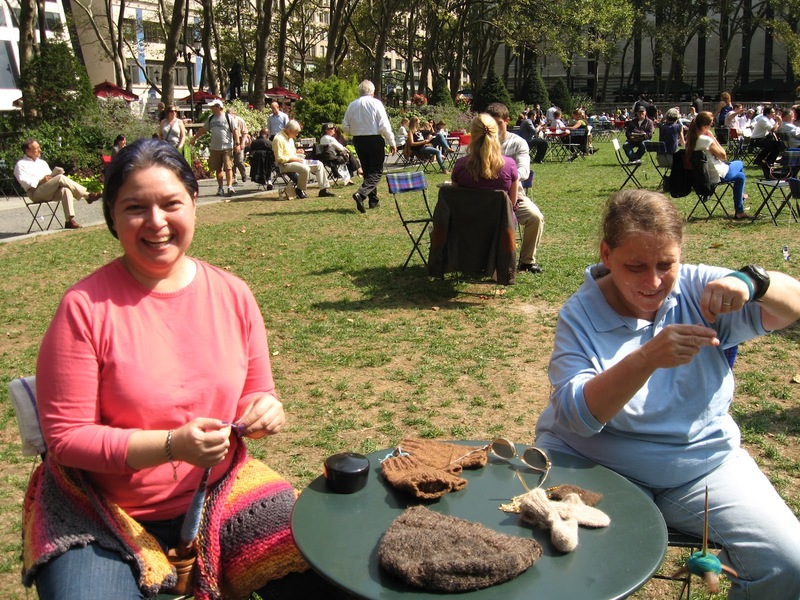 When I heard about the Wool Uncovered event in Bryant Park last Thursday, I contacted The Campaign for Wool to see if we could hold a meetup during the event. After several emails back and forth, we were given the ok to meet at the event. 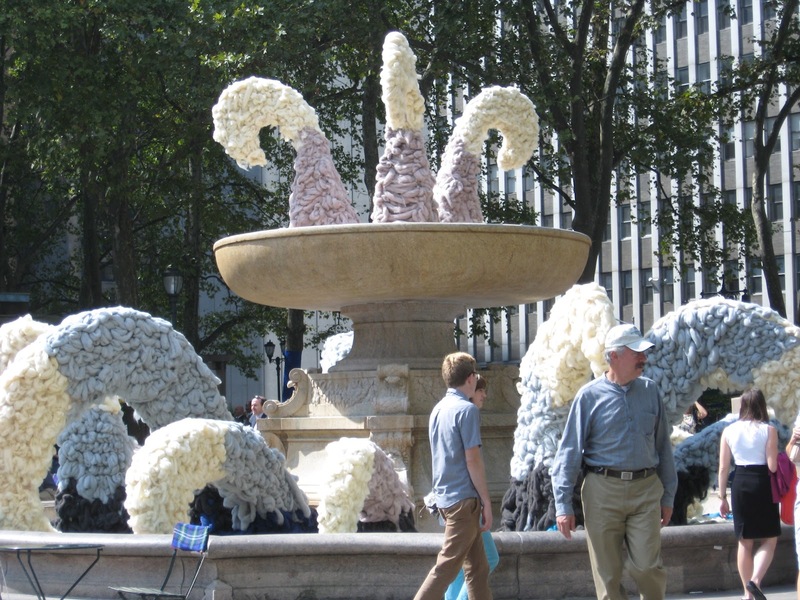 The Campaign for Wool, created by HRH Prince Charles, is a campaign to promote the use of this wonderful natural fiber. 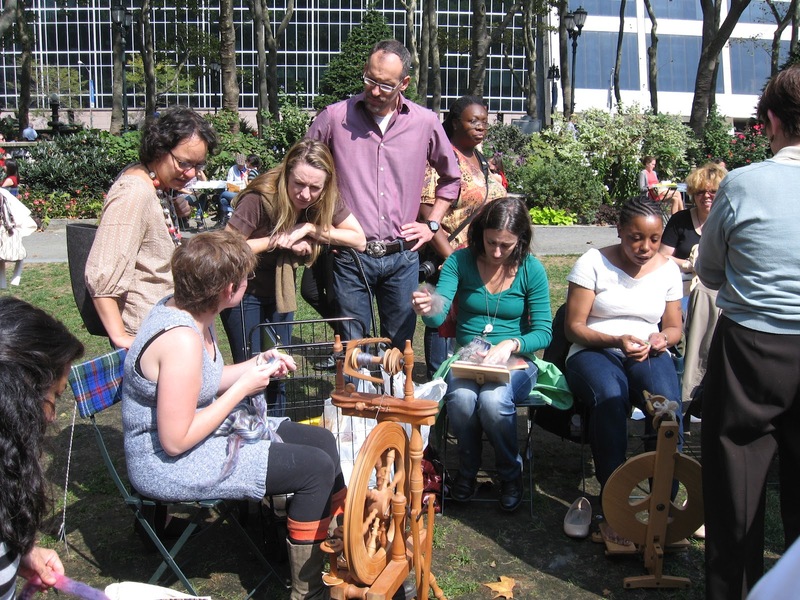 They hosted this event which included sheep, wool, rugs, chair covers, tree cozies, home insulation, a mattress, knitters and of course, Spin City-NY. They even emptied the fountain and covered it with wool! 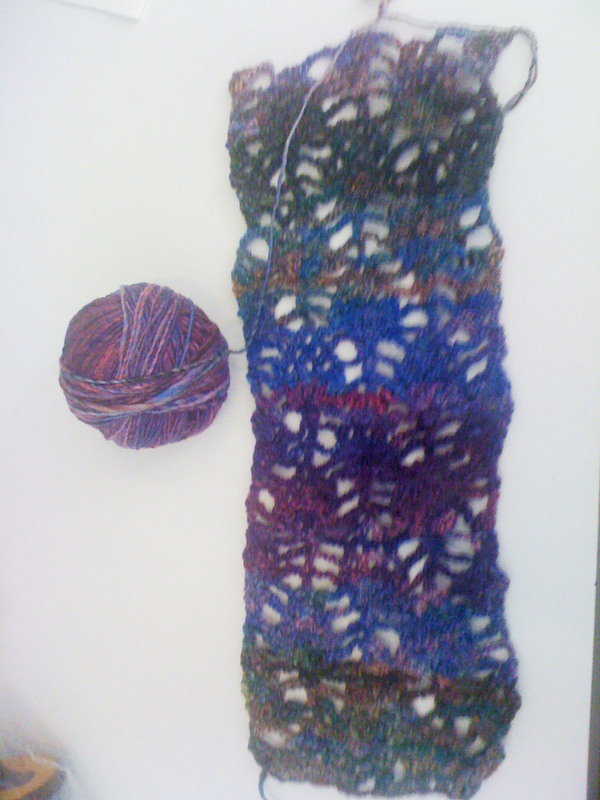 Scarf is pictured below in progress. We had a lot of spinners and drew quite the crowd! 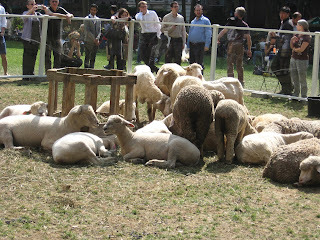 There were plenty of questions from spectators and we were interviewed by several publications. What a great way to spend a lunch hour! Thank you, Campaign for Wool, for hosting this event!